What are the Open Container Laws in North Carolina? Is it a serious charge? What are the Punishments? 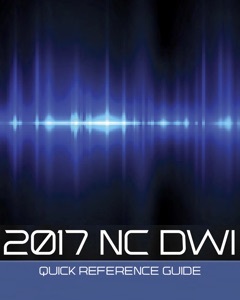 If you were recently cited or arrested for an open container vehicle violation in the state of North Carolina, it is important to contact an experienced criminal defense attorney like Bill Powers of the Law Offices of Powers Law Firm. If I’m Not Impaired, Why Do They Care? Open container laws are regulated by the states and the federal government. Many states have decided to mandate some open container laws because the federal government has created incentives for doing so. Years ago it was entirely legal to possess an open container in a vehicle. As the public became increasingly aware of the dangers of impaired driving, public policy changed. Now, in 2017, no one may possess an open container of alcohol in the passenger area of the vehicle. 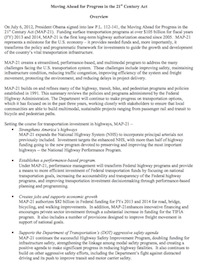 In the late 1990’s (1998 to be exact) the federal government created the TEA-21 (Transportation Equity Act for the 21st Century). 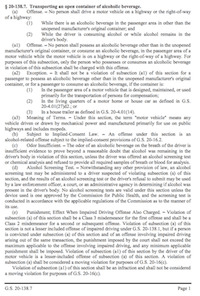 The TEA-21 had an overview of guidelines concerning having open containers of alcohol in motor vehicles. While the TEA-21 was meant to be “voluntary,” states found it very beneficial to follow the guidelines of this act. 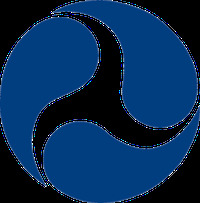 If a state followed the guidelines as outlined in the act, they would receive federal funding for their highways. If the state choose not to follow the guidelines, a portion of their roadway funds were diverted to go to alcohol education programs. A later iteration of TEA was signed into law by President Obama, as is known as the MAP-21 Act. By the way, the 21 refers to the 21st Century, not being 21 years old to drink. As you probably guessed, many states want to receive this funding so they tend to comply with this act. Up until relatively recently, passengers could drink beer and non-fortified wine in the passenger area of the vehicle as long as the driver had not consumed any amount of alcohol. North Carolina joined other states around the country to make ANY open container an offense. The penalty for a passenger open container is less than if the driver of a vehicle is drinking and driving. Because the State of North Carolina complies with the TEA-21 act, driving with an open alcohol container is a serious crime with possible long term effects and penalties, especially for the driver of a motor vehicle. Don’t let the state convict you without first arming yourself with an experienced DWI defense attorney – contact Bill Powers today. Hi my name’s Bill Powers and I wanna thank you for taking a look at our website, navigating in and out of the website, we got a lot of different materials. 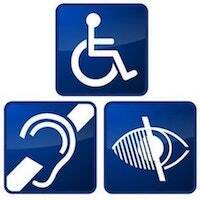 So, I encourage you to take a look around. Start big, start in criminal defense. We break our site down in criminal defense, DWI, and traffic type of law. And then narrow yourself down a little bit and that’s what this particular page is. It involves open container laws in North Carolina. Now I’d be remiss, meaning I’d not be giving you good information, if I didn’t tell you that this particular law if often times related with other areas within the practice. We use the term Open Container laws because that’s what clients often times refer to it, just the nomenclature of everyday people talking. There are specific statutory references regarding Open Container law. We see them a lot in vehicle type of charges. 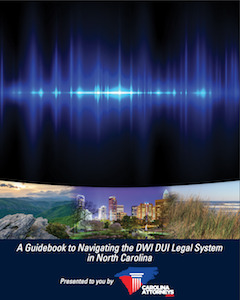 Probably the most common being driving while impaired, driving while subject to impairing substance in violation in North Carolina, Chapter 20, Section 138.1. I used this statutory reference sometimes people look it up that way. If you think of how these things are referenced in the books there’s a chapter. There’s a book in criminal law and then there’s chapter 20. Criminal law has several different chapters. Chapter 14, Chapter 15, Chapter 15a, Chapter 20 and they apply to different areas. Sometimes they’re definitions. Sometimes they’re criminal procedures. Sometimes they are just sort of statutes themselves describing the prohibited activity. When it comes to driving while impaired, you’ve got 20-138.1. If it’s a commercial drivers license, it’s 20-138.2. If it’s a provisional or underage driver, it’s 20-138.3. Interestingly enough, they’re different. Different in the standards of what the reading is. .08 versus .04 versus 0. The punishments are technically different. The question is, regarding the open container law, what does that mean? Well often times we’ll see them, like I said, associated with impaired driving and someone has been pulled over for some reason. The police officers begin their investigation for impaired driving. Then as part of that investigation, sometimes there’s just something they see in plain view. . .an open container. We see a beer in the dashboard or cupholder. We see a red solo cup. For the record, that’s not fooling anybody. Law officers know what people put in red solo cups. I know some clients think they’re being occasionally sly or sneaky by using a red solo cup and they won’t get pulled over for that. Just not true. Some of these devices that we have nowadays can actually sniff the drink. I’ll go over that in another video. It’s called an Alcosensor. They’re driving around drinking and occasionally drinking and being subject to an impairing substance. Now years ago, years and years and years ago, it wasn’t illegal. You could have an open container in certain circumstances in the vehicle. The certain circumstances being maybe you were a passenger. Maybe it was a certain type of alcohol. It was beer, wine that was unfortified. You couldn’t have liquor. It was completely legal for your passengers to be drinking and driving. Then the law changed saying that was legal as long as the driver hadn’t had anything to drink him or herself. If the driver had had basically a sip of alcohol then it became illegal for the rest of the people. Now it’s, probably for the good, no one is supposed to have any kind of booze in the car. Beer, wine, liquor, fortified whatever. You’re not supposed to have it in the car. It is in and of itself a separate criminal offense. Now insurance carriers, I’m sure you probably realize, aren’t real big fans of that (having an open container in the vehicle.). I’m not going to say it’s as serious of long-term consequences of driving while impaired. It does play a role and a factor because we do see it so often in impaired driving cases. It plays a role and a factor in the determination of driving while impaired. Relating to that driving while impaired, I think judges and prosecutors and frankly defense lawyers as well, when you hear of an open container in a vehicle it makes the driving while impaired case itself worse. I don’t know if it’s just a psychological type of deal that the level of audacity of saying, “I’m going to drink and drive. Not only am I going to drink and drive, I’m going to drink while driving,” that may show the impact of alcohol on the front of the brain. The smart part of the brain where you’re not exercising good choices which that’s what alcohol does. Alcohol is a central nervous system depressant. It depresses the central nervous system. Slows it down. The brain, the way it works, it start on the front and works it’s way to the back, is the effects of alcohol. It protects the back of the brain. So where you breathing centers are and telling your heart to beat and things like that. While the front brain, the smart brain, the logical brain, things that you normally without alcohol would never do, you start consuming alcohol and you make occasionally bad choices or things to seem to be a good idea at the time. Open containers in a vehicle also may prove to be the underlying basis for additional searches of people who are driving while officers are getting ready to pull you over. Blue lights are on and you’re trying to stuff something underneath the seat of the car, pour it on the floorboards, stuff it in your dashboard and it effects the driving. Maybe there’s a strong odor of alcohol in the vehicle. One, it’s just a really bad idea. Two, there are consequences just for the open container. Sometimes, and I tend to refer to open container cases while driving while impaired, but sometimes people say, “I had an open container at a park or I had an open container at a concert or I was in a public place in front of a restaurant where I was on a sidewalk.” Yes it’s an open container of alcohol. It’s normally not what we would refer to with that. Technically it is an open container but it’s a violation of some sort of ABC, the Commission of North Carolina, or the ALE law, it’s a violation of the laws of North Carolina pertaining to the possession of alcohol on an unauthorized premises. Premises being location. I have clients say, “I had an open container charge. I was at a restaurant and it was really really busy that night and I stepped one foot over onto the sidewalk and ABC or AlE or even city police came up to me and issued a citation.” On those kind of cases, they’re not as serious but you don’t want to keep that on your record. The district attorney’s offices are relatively reasonable in dealing with these type of situations. I would not assume that they would just automatically dismiss the case because you’re a nice person. Nor would I assume that you should just go in there and plead guilty. There may be options available. We’ll want to look at your background history, and what were the nature and the circumstances behind the citation itself. If you have questions about these type of things and I appreciate you checking out our website. This site and its contents are meant to be a general nature and informative nature as a starting point and give us a call. 704-342-HELP is our telephone number because we like helping people. My email is bill@powmac.com P-O-W-M-A-C.com. We’ll talk to you on the phone. If it’s an open container at a park or at a restaurant, we may not need to have you come in the office. If it’s an open container in a vehicle while you’re driving around, may need to because it may be related to something more serious such as a driving while impaired. Anyway, thank you for checking us out and hope to hear from you.